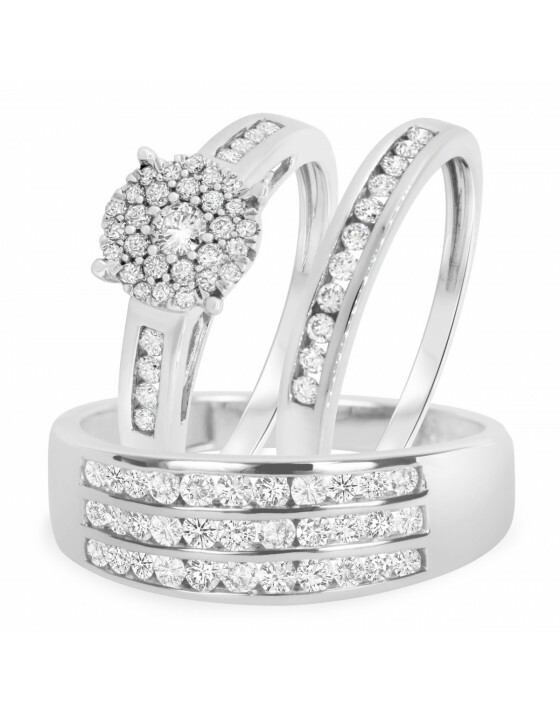 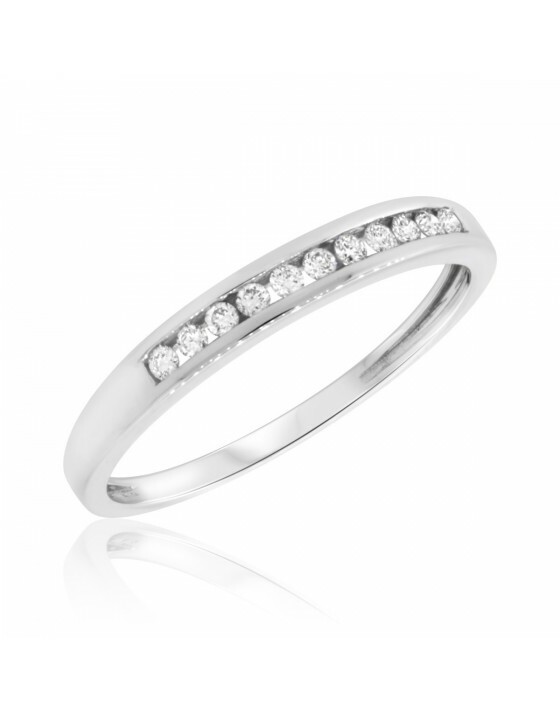 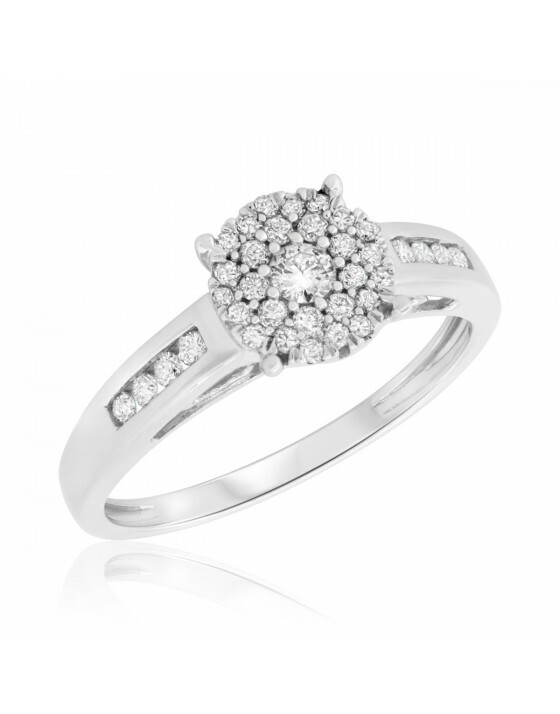 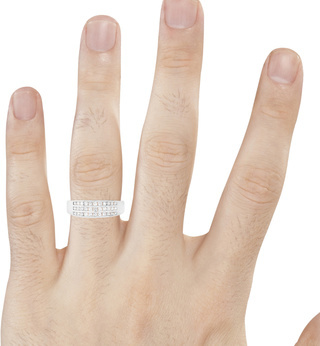 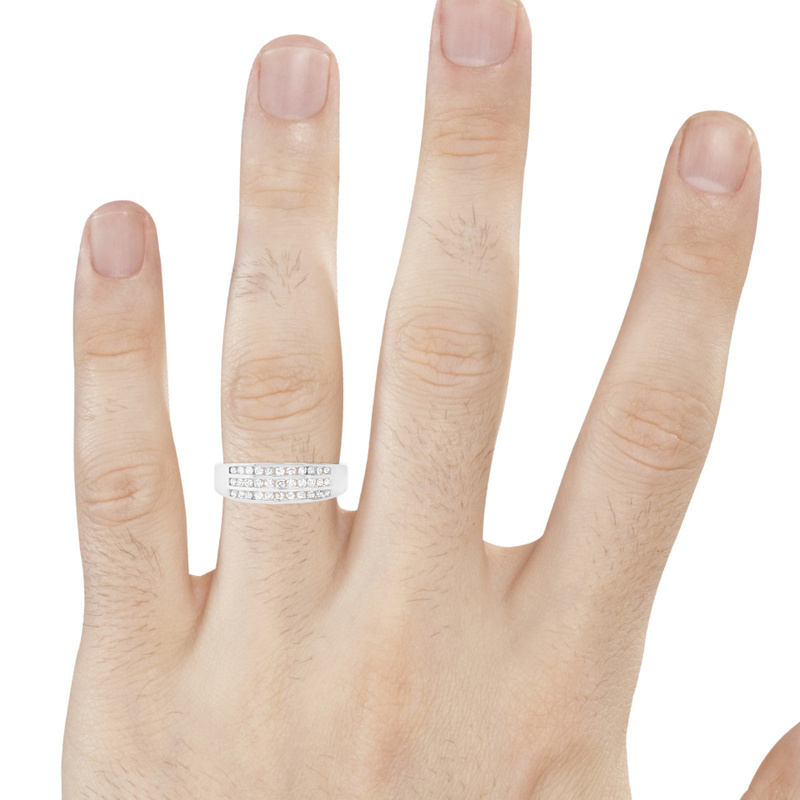 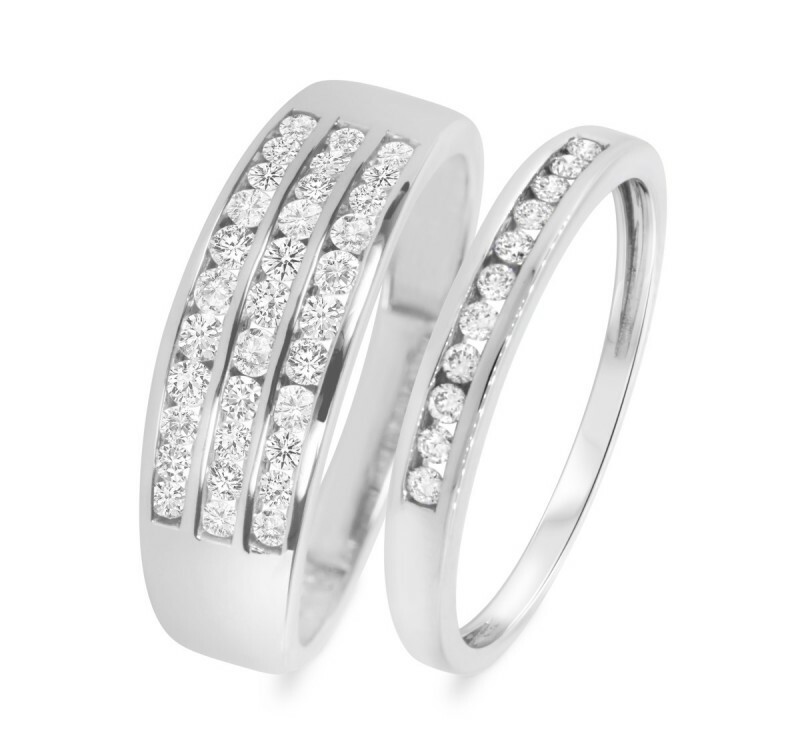 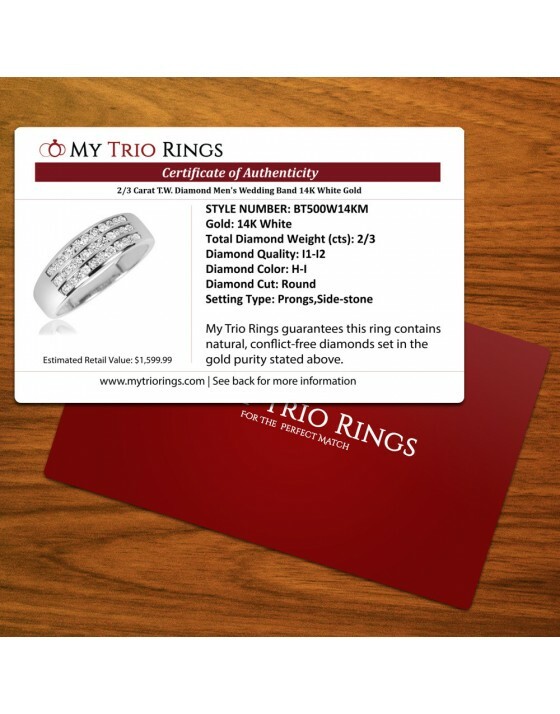 This diamond ladies band offers a glamorous simplicity that's ideal for expressing your vows. 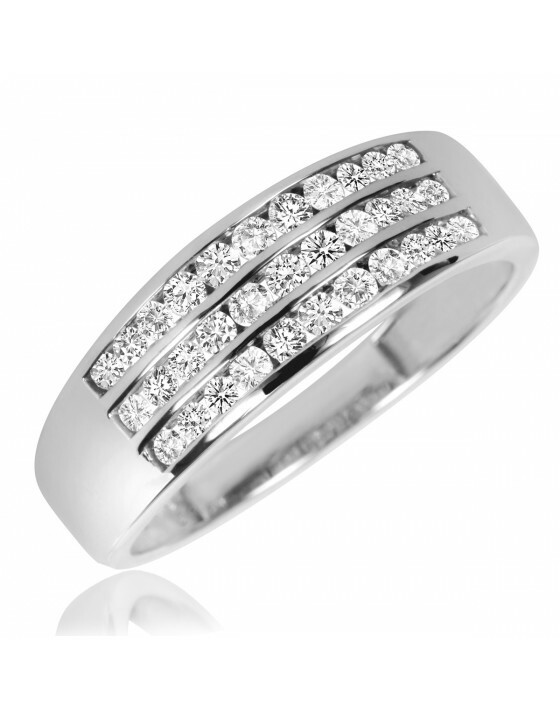 The 11 round diamonds look like they're floating in the channel setting of the 14K White gold band. 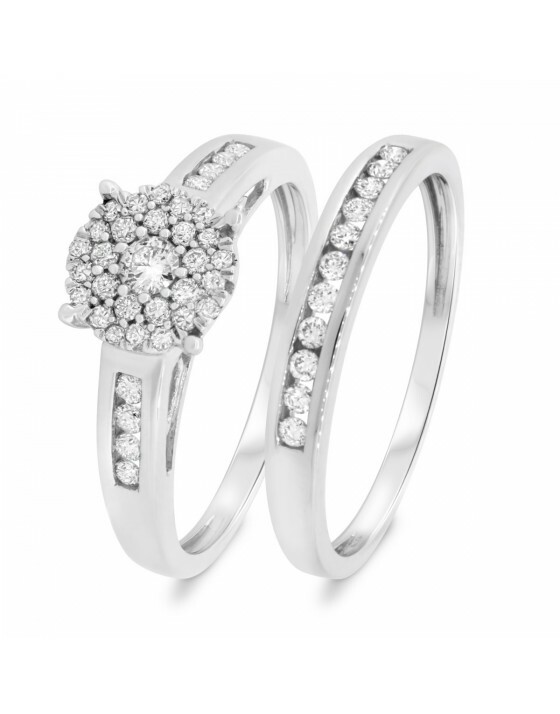 This 1/7-carat diamond wedding ring provides plenty of sparkle on its own while blending perfectly with an engagement ring.